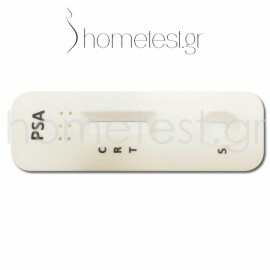 Afordable and reliable HomeTest prostate test (PSA). Measure the levels of PSA in your organism, in the privacy of your home. Particularly useful to every man from the age of 40 and thereafter or whenever your doctor has recommended it. High PSA values are directly related to prostate gland problems and timely treatment is a key factor in effective therapy. Prostate test (PSA) There are 3 products.